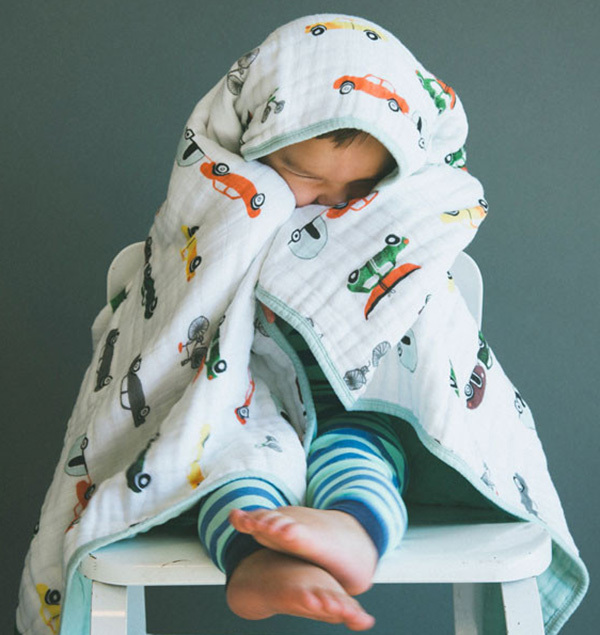 Buttery soft muslin fabric – a given in any newborn’s nursery – and now you can buy the snuggliest, softest quilts made using pure cotton muslin, showcasing stunning prints. 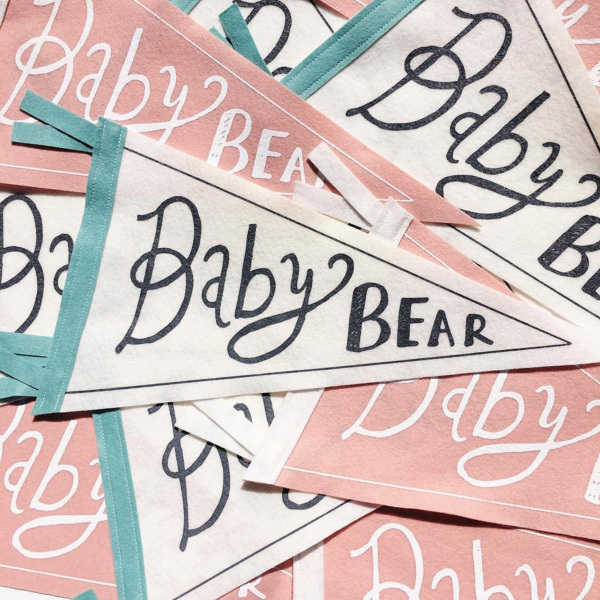 And how about a funky pennant for your nursery? Prepare for much gushing Babyologists! A Little Unicorn Cotton Quilt, US$54, is perfect for snuggling without overheating. Made using four layers of pure cotton muslin, your quilt becomes softer with each wash as the fibre weave become brushed, perfect for sensitive newborn skin. I feel a disclaimer needs to be made though, you’ll be hard pressed choosing just one design, with so many divine prints including my favourites, the Summer Poppy Quilt to the Forest Friends Quilt. They’re all swoonworthy! Pennants don’t get much more awesome than this. Add a spot of colour and a dash of fun with a wool felt pennant on the wall reading cute slogans including Dapper, Baby Bear and Explore. Priced US$26.95 each, they measure a generous 38cm long. Shop quilts and pennants (plus discover a trove of other super cute gear) at Spearmint Love. Shipping to Australia is available.